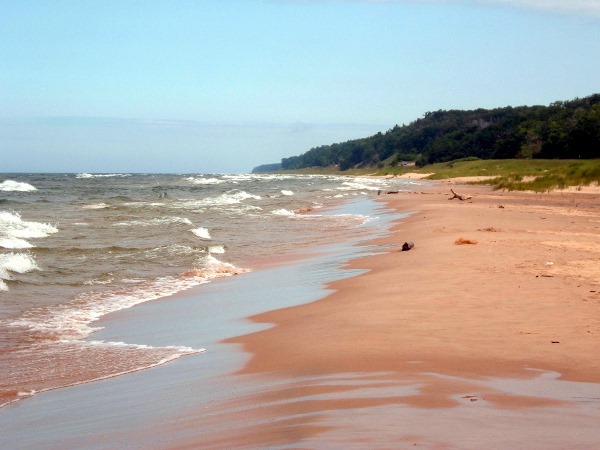 Michigan is home to so many gorgeous beaches. Muskegon State Park is no exception. In the summer of 2009, the huz and I spent a few warm summer days in Muskegon. Usually when we visit, we spend most of our time at the busy Pere Marquette Park which often has lots of big Lake Michigan waves for jumping! But, one day during our trip we visited the Muskegon State Park which was absolutely gorgeous – we had the place to ourselves! We spent a lovely afternoon walking barefoot down the sandy beach, along the edge of the water, finding shells, interesting rocks, pieces of wet driftwood, and discovering fields of wildflowers, as the water tickled our toes. Mi lakes are so beautiful! Pingback: Straight Chillin’ Upnorth | Meg.Goes.Nom.Nom.